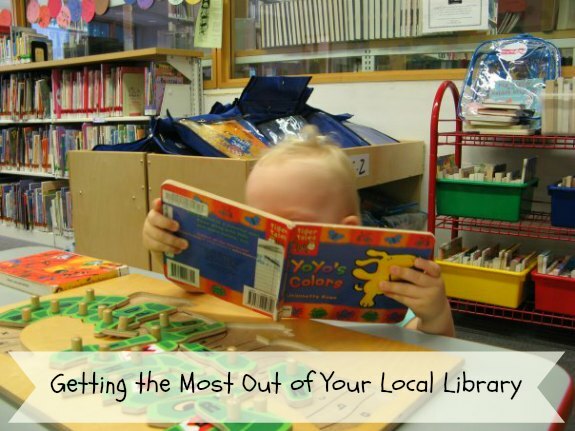 Do you take advantage of everything your local library has to offer? Ever since my kids were very little, we have made regular trips to the library. They are excited to be old enough to have their old library cards now! Here are some ways that your family can enjoy a trip to the library. My kids have always enjoyed the library’s story time. There are different ones for different ages, some we have to register for ahead of time, while others are drop-in. Not only do the kids enjoy this, but sometimes this is a nice way to get parents out of the house and socializing with other parents of similar age children. Libraries generally have an area set aside just for kids to play and explore. This may include things like puzzles, toys, crafts, or other educational toys. A children’s room is a great way for kids to have fun and a place where parents don’t have to worry about little ones being too loud. It can also be useful if you are trying to keep a younger child occupied for instance while an older sibling is looking for books or working on a project. You may be surprised how many kinds of media your library may carry. The library can have quite a large selection of DVDs, CDs, and even Wii games. Although I do not encourage a lot of time in front of the TV or Wii, it is a great free option for things like movie night or when the kids are sick in bed. In addition to entertaining DVDs, there are educational DVDs, such as Baby Einstein or Magic School Bus. Or perhaps you want to try out a Wii game before purchasing it. We have gotten to listen to a lot of different children’s music in the car because of the CDs we have found at the library, including Wiggles, Laurie Berkner Band, Elizabeth Mitchell, and more. This is great for road trips when we need to help pass the time! Our library also offers “Playaways”, which are mini audio players that come preloaded with a single book, and we always get these for road trips, since my daughter gets carsick and can’t look at anything while the car is in motion. Many libraries offer the use of computers and other devices for children to use at the library. This is a good resource to have if your child needs to access a computer outside of the home, and the computers may have educational software on them as well. This can be anything from book discussions, to book clubs, to free movie nights at the library. A lot of these are during school breaks to help keep kids occupied. Our library accepts book donations, which is a nice way to pay it forward after I am done with books I have purchased, and really helps to cut down on clutter at home. Alternately, I love checking out what the library has for sale, either on their sale shelf or yearly book sale. Many people like to buy books for when they travel, so that they don’t have to worry about losing or damaging a library book. Our library also a place to leave and take magazines, which is a great way to get rid of clutter, recycle, and perhaps find something you want to read without paying for a magazine subscription. It is nice to be involved with the community, and you never know what you can find at the library. Our library has had things like blood drives, local authors, lectures on local history, and much more. There are all kinds of events for both kids and adults. This is a great way for kids to stay motivated about reading over summer break. Our library not only has reading logs and prizes, but lots of great programs. When kids get their own library card, it teaches them responsibility for their library books. And libraries have changed quite a bit since I was a child. We keep track of our library accounts online, and we even get e-mail reminders for when our books are due. We have always encouraged a lot of reading in our household. The library has everything from board books to non-fiction books for older kids. The children’s librarians are very knowledgeable, whether it is finding something you have in mind, to searching for something else. There are also resources for library patrons, like recommended lists of books for kids, lists of Caldecott award winners, and so on, should you need some guidance or inspiration. I am a huge fan of the library! It is part of our weekly routine, and there is always something for every member of our family. Take advantage of it!